Look Sharp, Sconnie - Midwestern Fashion Nerd, Chronic Over-thinker: Why Is Everything The Same!?? Why Is Everything The Same!?? and then drop everything in order to "reflect" (along with 50 BILLION others) upon the gazillion collections at fashion week just like everyone else is absolutely beyond me. I must, because to ignore the hoopla would to deny myself a chance to talk about clothes n' shoes n' other stuff . . . even if the impetus for that discussion is...less than creative. But just because something isn't new, doesn't mean that it's not still a bit more interesting than The Office reruns on TBS. And like, I really enjoy The Office reruns on TBS, so ... might this esteemed "newness" maybe be overrated?? or everything seen since Thursday is an indiscernible alteration of the collection shown before it. Do you even remember what color looks like like? Are we forever condemned to monochrome clothes? Are shapely silhouettes a thing of the past? Is boxiness always best? I mean, don't get me wrong - I love me some square-shaped black and white, but in entirety?? The only reason it's so appealing in the first place is because it usually stands in stark contrast to the figure-fitting silhouettes of so many other styles. But now . . .
ARE WE MORPHING INTO ROBOTS? 10. And the crop top, baby. Looks like it's "here" for a while more. (Here being, you know, relative, considering that "here here" (read: Wisconsin), crop tops are still regarded as relatively trashy so . . . oops). I'm curious, though. Did you feel that New York showed a disparaging amount of sameness, or am I just overreacting to a multi-year stretch of a single set of trends? Or maybe I should just not mention NYFW anymore in an attempt to totally rebel against the top-down nature of Fashion-with-a-capital-F? NYFW bored me this year...i don't know why, but it did. and, i hardly got excited over the street style images....a little here and there...but, sigh, it was disappointing. but that's just my take. the only noteworthy thing i saw was a sweet little clip on @miraduma's instagram of the lovely bill cunningham. Totally agree with Norbyah. Was not thrilled with NYFW. I mostly look at the street style and less at the collections themselves but I was not impressed. Liked the normal street style stars (joanna hillman etc) but otherwise boring. 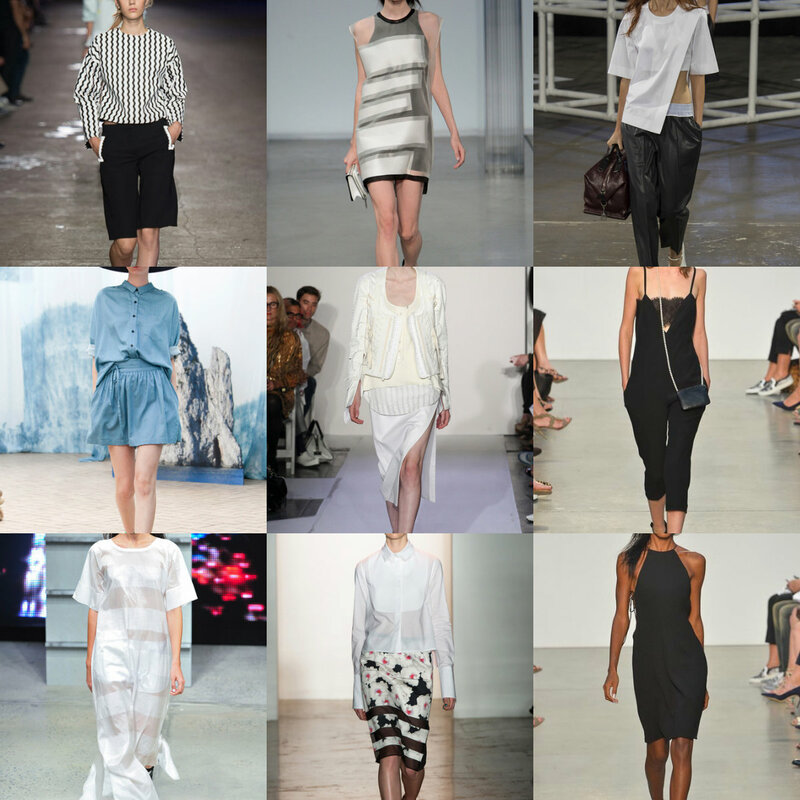 I've read a lot of disappointed posts on NYFW and I have to say, there wasn't a collection there that really wowed me. On the other hand there is nothing I can afford anyway, boohoo.